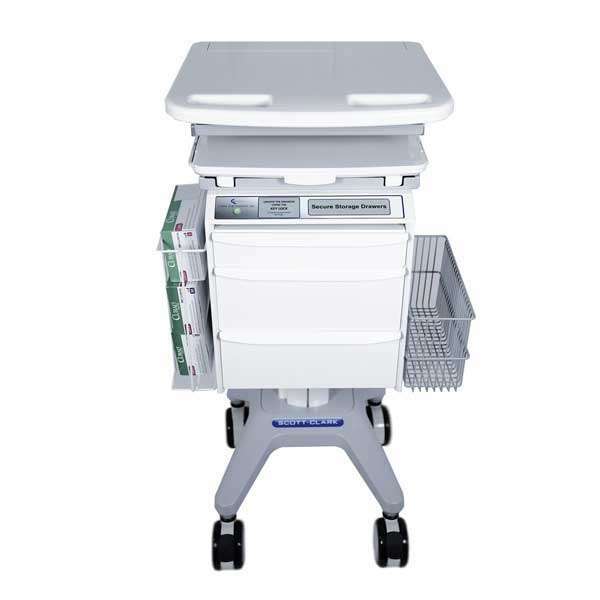 Medical Computer Carts are a growing technological trend in hospitals and other care facilities. Mainly, they are medical computer workstations for doctors, nurses and other care workers to utilize in patient care and administering medications. Today, patient care has soared to new heights causing more complications, as well. Healthcare providers find themselves challenged to deliver the utmost healthcare in the most efficient means possible. Thankfully, recent medical computer advancement has helped healthcare providers tend to their patients more efficiently while reducing medical errors, as well. Furthermore, advanced medical computing has aided in faster test results with more accuracy and has added a higher safety level in operating rooms. 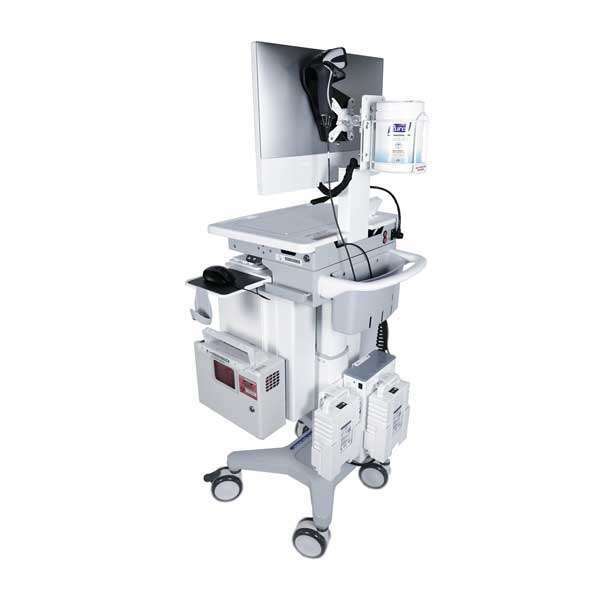 Medical computer carts are equipped with touchscreen PCs which are designed with advanced mobility options. The high-tech PCs offer healthcare providers with instant internet access and patient records and medications. Moreover, medical computer carts help eliminate human errors in hospitals, which could be disastrous to a patient’s wellbeing. Today, with medical computer workstations, these problems are minimized by radio-frequency identification technology (RFID), the implantation of identification technology that the medical touch panels support. RFID tags are composed of an antenna and a microchip that are enclosed within a silicon base. These tags have the ability to store data and RFID tags are placed on all medications so that a scanner can instantly identify them. The information is sent to the computer through radio waves. Additionally, there are many other uses for the RFID, such as smart medical automation that instantly alerts staff of expiring medications, inventory control, plus much more. Regular medical carts can go through multiple shifts in each day, which leaves room for medications to be misused or misplaced. With automation and cloud computing, medication and med levels are always monitored by the system. Instant computer access does away with all the paperwork that takes up valuable time and space. 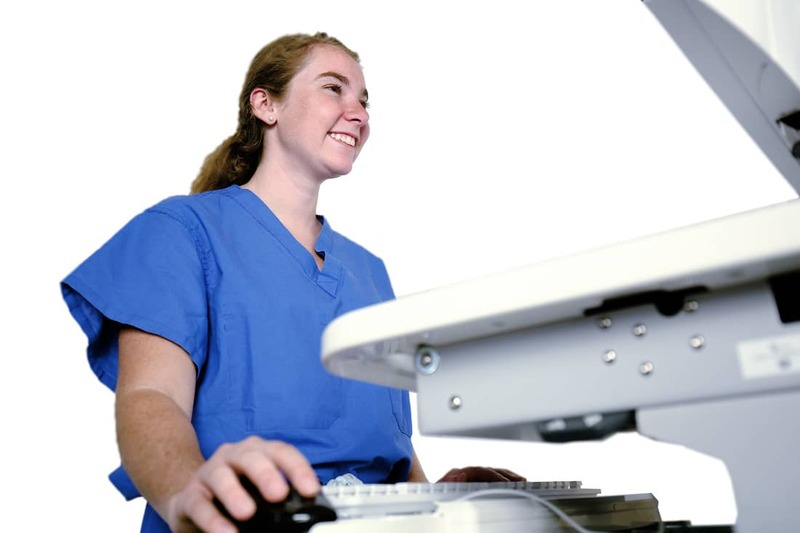 Furthermore, the mobility of the Point of Care medical computer carts allows doctors and nurses to update their patients’ records at the point of care. When emergencies arise, all patient information is at the doctors’ fingertips. .Patients’ data can be monitored and analyzed for treatment solutions and even patterns, helping to detect disease, and possibly, even prevent it. With hospital staff able to take a medical workstation from room to room, every patient’s records, medical history, treatment plan, and most importantly, medications, are at the staff’s fingertips, minimizing the chance of making a mistake. Today, medical computer carts are leading the way in top-notch patient care to taking technology to the bedside by combining technology and medicine. Gone are the days of push carts containing paper patient charts and the entire floor of patients’ medications maybe getting mixed up at the expense of the patient.